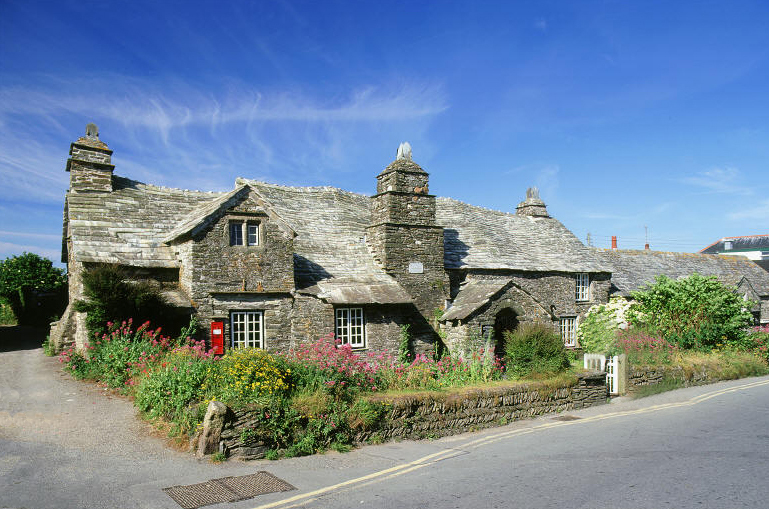 The old post office in the Cornwall town of Trevena, today known as Tintagel. 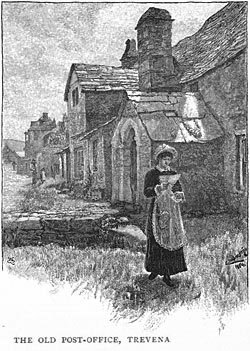 From An Unsentimental Journey through Cornwall (1884) by Dinah Craik, illustration by Charles Napier Hemy (1841-1917). And below, the old post office today. This entry was posted in Mail, Post Office. Bookmark the permalink.